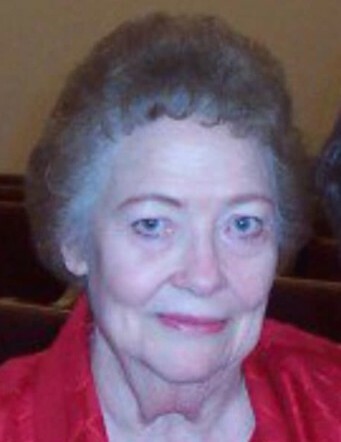 Boyd ~ Retha Sue Brown, 81, went to be with our Lord February 4, 2019, in Decatur. Funeral is 2:00 p.m. Friday, February 8, 2019, at the First Baptist Church of Boyd with burial in Boyd Cemetery. Family will receive friends 6-8 p.m. Thursday at the church. Rev. Mark Autry will officiate. Pallbearers include Aaron Lambert, Zack Brown, Derek Lambert, Rusty Brown, Adam Lambert, Eric Brown, and Brad Clark. Retha was born October 2, 1937, to Charlie Henry and Lenna Missouri (Johns) Gray in Saint Jo, Texas. She was united in marriage to Lynwood “Lynn” George Brown on January 25, 1957, at Trinity Baptist Church in Fort Worth. She retired from the U.S. Postal Service as a postal clerk. She was preceded in death by her parents; and her brothers, Zane C. Gray, and Denzel Gray. Those left behind to cherish her memory are her husband of 62 years, Lynn of Boyd; her sons, Jim Brown and wife Kristina of Justin, and Gary Brown of Boyd; her daughter, Susan Lambert and husband Danny of Boyd; her sister-in-law, Berniece Gray; her grandchildren, Angel Clark and husband Brad of Fort Worth, Aaron Lambert and wife Lauren of Decatur, Zack Brown of Fort Worth, Tabitha Brown of Arlington, Derek Lambert and wife Hannah of Boyd, Rusty Brown of Boyd, Adam Lambert and wife Kelly of Paradise, and Eric Brown of Fort Worth; her 11 great-grandchildren; numerous nieces, nephews, a large extended family, and a host of friends.